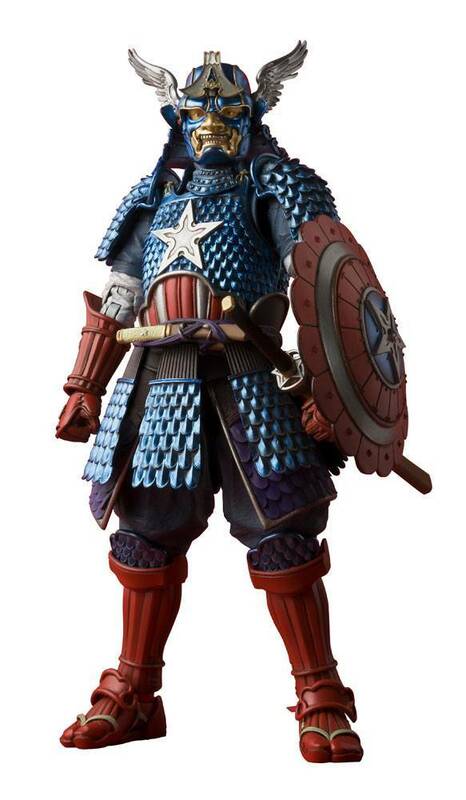 Captain America -- envisioned as a samurai warrior! Features distinctive scale armor and winged helm modeled after his traditional American appearance, re-arranged in Japanese style by the sculptor Takeyuki Takeya! His chest star mark is removable and becomes a shuriken throwing star! Includes 4 optional hands, shield parts, and sword parts. 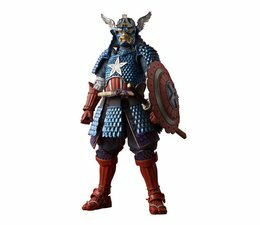 The Samurai Captain America by Tamashii Nations is a limited edition.